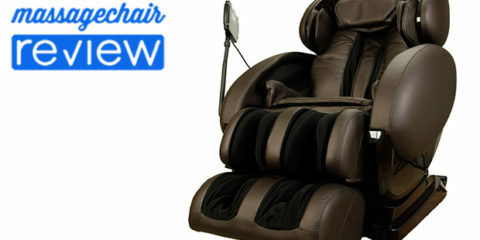 The all new Infinity Iyashi massage chair is ground breaking and revolutionary in the industry. It incorporates many of the Zen Master and Tai Chi massage techniques. 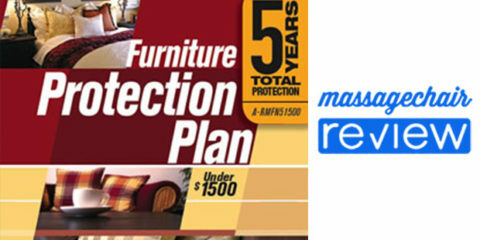 The cutting edge design utilizes the longest massage stroke ever brought to market at 49″ inches. This innovative massage mechanism operates from your neck all the way down to track under and include your gluteus muscles. The manufacturer claims that the Infinity Iyashi massage chair will invigorate, relieve, and revive 35% more of your being than any massage chair in existence today. We are looking forward to getting one in the office to try out and do a full review. 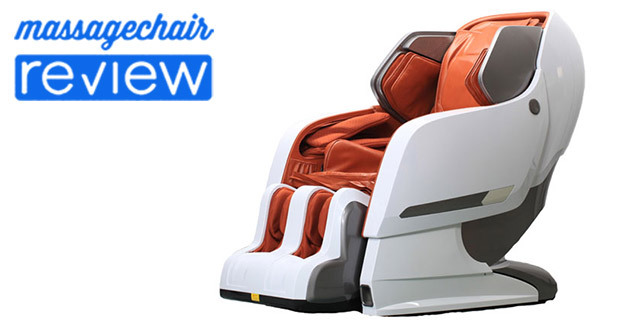 Normally I would save the special features section until the bottom, but the special features of the Infinity Iyashi massage chair are just really innovative and awesome that I wanted to start with it. 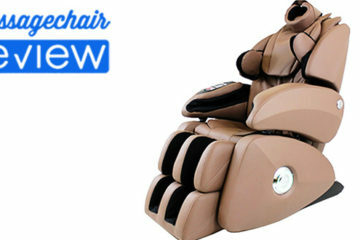 This is the first of its kind in the massage chair industry. The Infinity Iyashi offers Bluetooth connectivity so that you can connect your phone or other mobile devices and use it as a remote to wirelessly control the chair. The app is currently available via Android and iOS apps. 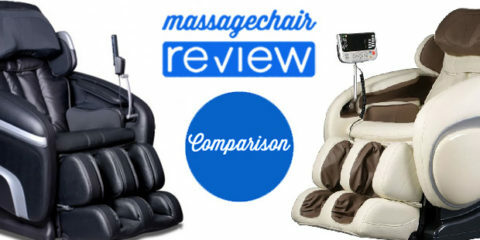 This allows you to control everything about the chair from your phone as well as give you the ability to play your favorite playlist from your phone while receiving your relaxing massage. 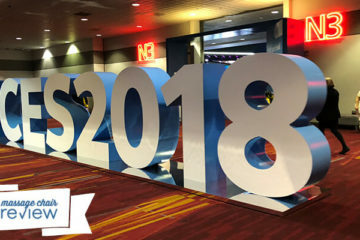 The mobile app is extremely to use on both platforms, while some aesthetic difference exist in the layout, both versions are equally intuitive and extremely easy to navigate. 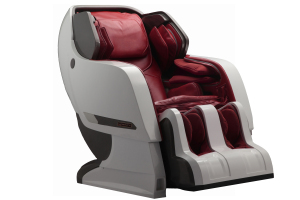 This is an important feature, because there are only a few massage chairs that offer a kneading massage in the hip and upper thigh area, and the Infinity Iyashi is one of them. The intelligent roller system of the Infinity Iyashi massage chair extends its track all the way down to your legs so that you receive a much stronger benefit across your whole body. The lower lumbar heat helps to loosen up the muscle tissue for a deeper and more relaxing massage. This is ideal for those looking to place the Infinity Iyashi in a home where space might be limited, or if you have a smaller spot picked out for your massage chair, and are wondering if your massage chair will fit there. The space saving technology allows the Iyashi to slide forward as it reclines back, requiring only 3 inches behind the chair to fully recline. This means you can have your massage chair in your living room or any other relatively tight space and not have to worry about it hogging all of the available space while someone is receiving a massage! The Infinity Iyashi massage chair includes Infinity’s new Spinal Correction feature which uses the back roller, hip airbags, and shoulder airbags in a specific way to you twist and stretch your back. This helps loosen muscles and relieve those nagging aches and pains along the spine. Having a longer massage roller stroke helps as well with the spinal correction. The 38 high quality airbags offer a compression massage for the legs, waist, calves, shoulders, neck, and feet. The Infinity Iyashi is able to inflate airbags independently in order to create a twisting and stretching motion to target almost any of the major muscle groups. The airbags are located in the arms, pillow, seat, legs, feet, and shoulders. Shoulder Massage – Many massage chairs can have a hard time providing a massage targeted around the neck and upper shoulder area. Infinity did not want this to be an issue with the Iyashi Massage Chair, so they developed and added the Accu-roll shoulder massage using the airbags. This feature can read and detect the upper portion of the back for a more targeted massage that reaches hard to get areas in your upper body, like the neck, and the upper shoulder area. Synchronic (Connect via Bluetooth and have the rollers massage you to the beat of your music!) NEW! Optical Scanning Technology Benefits: The Automatic Acupuncture Point Locator function of the Infinity Iyashi massage chair uses scanning technology which automatically detects Shiatsu points using state-of-the-art optical sensors. Acupuncture points differ according to the body type of each individual. When used by the whole family, massages are automatically customized to each individual, providing a massage of professional quality. Inversion Therapy Benefits: Inversion therapy puts gravity to work for you by placing your body in line with the downward force of gravity. Using your own body weight as a natural form of traction, inversion elongates the spine by increasing the space between the vertebrae, relieving the pressure on discs, ligaments and nerve roots. Less pressure means less back pain. Reflexology (Sole Massaging) Benefits: The mechanical foot rollers of the Infinity Iyashi provides a Reflexology (sole massage) that utilizes the ancient therapeutic concept that every organ in the body corresponds to a particular point on the sole, and concentrating on the foot can alleviate pain in any part of the body. The therapeutic benefits are a result of stimulation of the nerve endings on the sole resulting in benefit for the corresponding organ. Thai Stretch Program: With the shoulder and seat airbags, the user can experience one of the most intense stretch programs available on the market. The airbags compress to hold your body in place as the chair reclines and the foot rest moves to stretch your body. 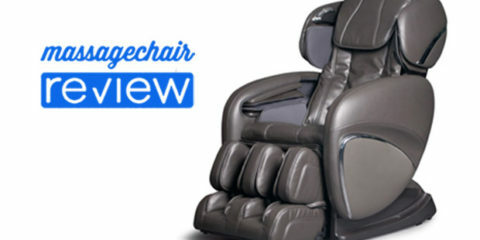 Calf Massaging Benefits: The Airbags in the footrest of the Infinity Iyashi offers a great and soothing calf massage. resembling kneading/swinging/rolling. Massage to the calf muscles, helps improve your systemic circulation, as it promotes the return of venous blood to the heart. It’s been used for many years to speed healing and prevent injuries in active people. Chromotherapy – Soothing lights have been incorporated into the body of the massage chair. When the lights are darkened, an ambient lighting system can be activated to help assist you to relax. The Infinity Iyashi price is $6595 and you can often find them online a little cheaper. We’ll make sure to do a full review once it arrives into our office. 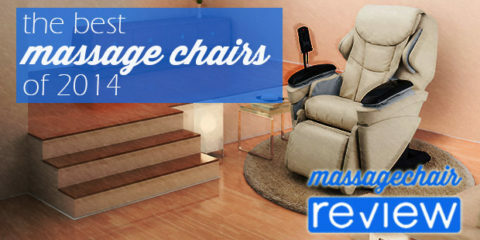 For now you can check out other Infinity Massage Chairs or other brands of massage chairs at our preferred partner Emassagechair.com.